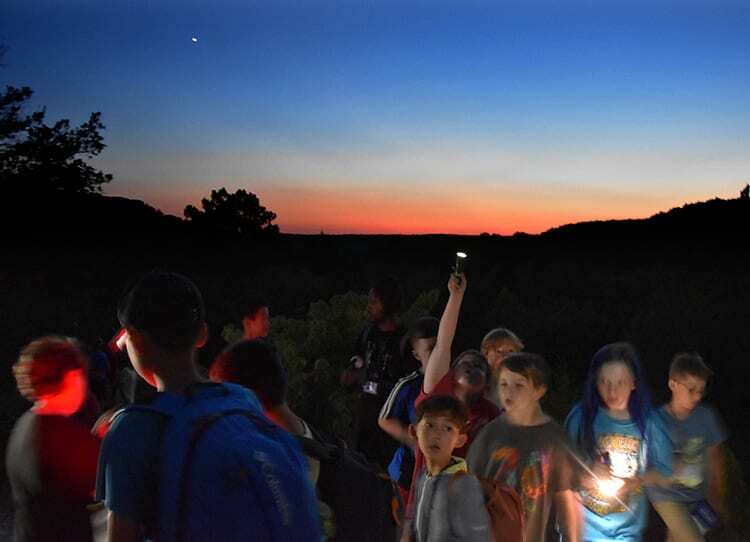 Early bird and night owl activities are offered before breakfast and after evening activities on several days of each camp session. 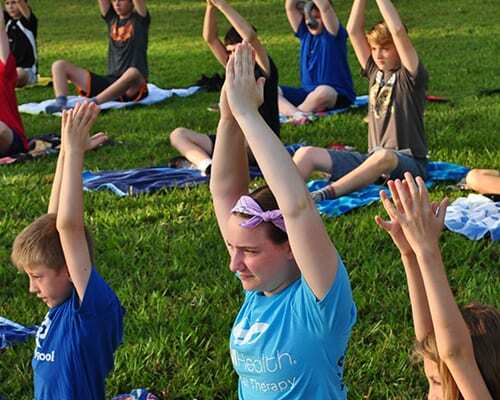 These activities are completely voluntary and offer campers variety in their schedule. They've been tailored to the campers that rise early or are the last to go to bed. What Kinds of Activities are These? Early bird activities are extremely varied and change each summer with the interests of our campers and staff. Common Early bird activities have included, blackberry picking, polar bear plunge in the pool, and a morning glade hike. For the last two years, water aerobics has been a hot early bird! This activity is all about getting active in the morning with ridiculous moves to some awesome music! Night owls are just as varied as our early birds. We've hosted stargazing, nocturnal animal encounters, and scorpion hunting at the glade activities! Dancing has become a common night owl at camp. 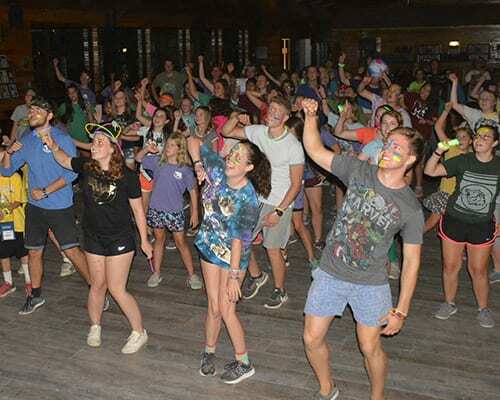 Whether it's line dancing or a Just Dance party, campers come together for a good time. We understand that getting to sleep in a new setting can be particularly challenging for some campers. 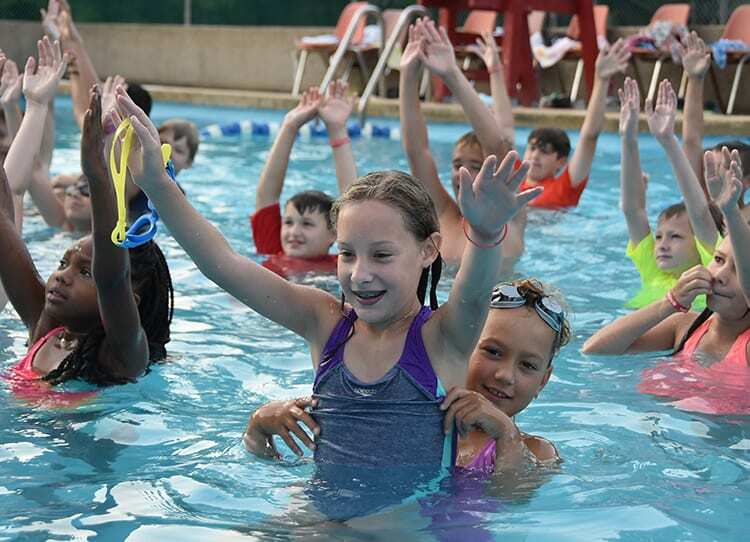 We have created these activities to help these campers engage in activities instead of having to sit in bed. But what if they wake up earlier, or got to bed even later than these activities? We encourage campers to consider bringing books to read, journals to write in, or coloring pages to complete, these are good ways to distract and ease the mind. If in need, reading books can be borrowed from our camp library and coloring books and journals can be purchased in our camp store. Coming up with a plan before your campers arrival can make a huge difference in ensuring a campers success at camp. * If your camper needs alternative options when it comes to sleeping or needs help with music/sound when going to bed, please contact our office for a specialized plan!